Why Choose a Desktop Photocopier? A desktop photocopier is an essential piece of equipment for any home office or small business, especially when space is an issue. As technology has improved, it is now possible to buy a good quality copier at an affordable price whilst still getting the majority of features present in a larger copier. These include auto-document handling and duplex copying amongst others. 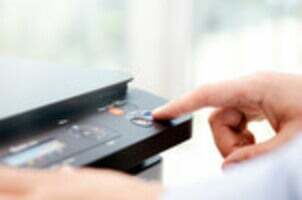 The latest desktop copiers are multifunctional and can work as a scanner, copier, printer and fax in one piece of kit. Many suppliers will provide a service and maintenance agreement with their desktop photocopiers. This can be a useful extra for copiers that are used at home or in a small office where there is no technical department. The best way of purchasing a cheap copying machine is to look for a photocopier that has been refurbished . These are mainly photocopiers which have reached the end of their three or five year leases and are given full maintenance and replacement of worn or broken parts, then re-sold at greatly reduced prices. A number of suppliers will only offer low usage copiers as this keeps the refurbishing price down to a minimum. This enables small companies and home office users to be as eco-friendly as possible and save up to between 25% and 75% less than the cost of a new, leased or rented desktop copier. These copiers are sold with a guarantee for a minimum amount of time with the added assurance that a replacement will be supplied should this not prove the case. The price you pay for your chosen machine will depend on what functions it has, how old it is and its brand name – each factor affecting the price differently in the same way as it does for a new one. What To Consider Before Making a Purchase? Before deciding on which photocopier to choose, there are several things that should be taken into consideration. The main one is to assess the amount of work the copier will undertaking so that you can buy or lease the one that is most cost-effective. Many larger desktop copiers will be available on lease agreements, dispelling the need to purchase immediately, although it is advisable to check the total cost of the lease and to compare it the price of buying one outright. This will ensure that you get the best value for the money. You will also need to decide what your total budget is for a desktop copier. This should cover not only the price you will pay to buy or rent the copier, but should also include the costs of toner, consumables and maintenance. This will ensure that you not only purchase the one that is the most cost-effective but also one where the total outlay lies within your financial restrictions. To find the best desktop photocopier, you’ll need to fill out the form at the top of this page. We will get in touch with you shortly to discuss different kind of copiers and rates, then match you with the best suppliers for your needs.